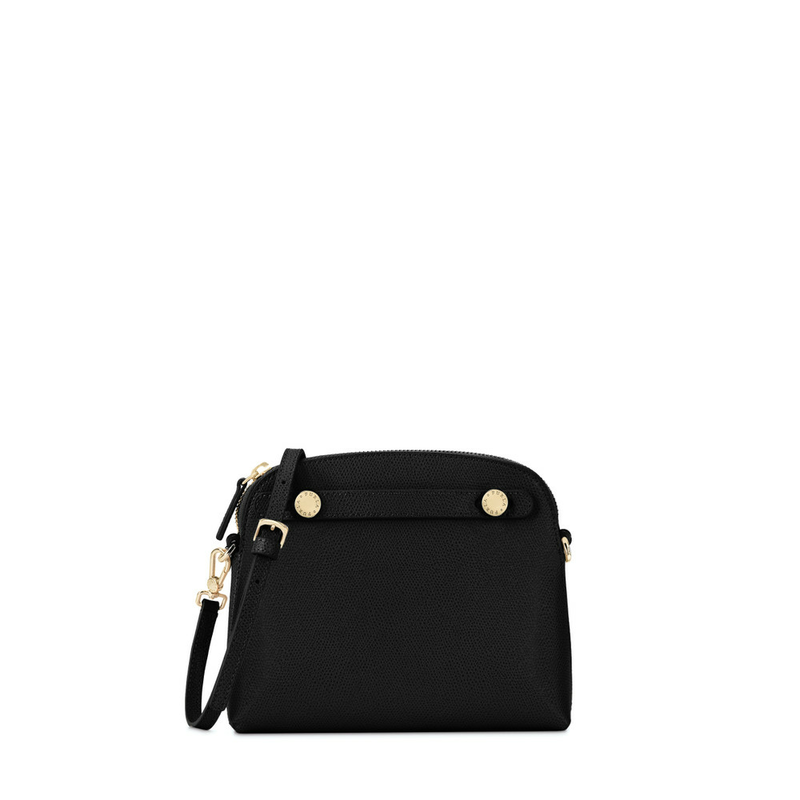 The Furla Piper mini crossbody bag is made of calfskin and has a zip closure. A studded strip in leather marks the front. One open pocket is available on the inside of this leather bag − lined with moiret fabric. Its removable shoulder-strap allows this women's bag to be carried as a shoulder bag or as a crossbody bag.